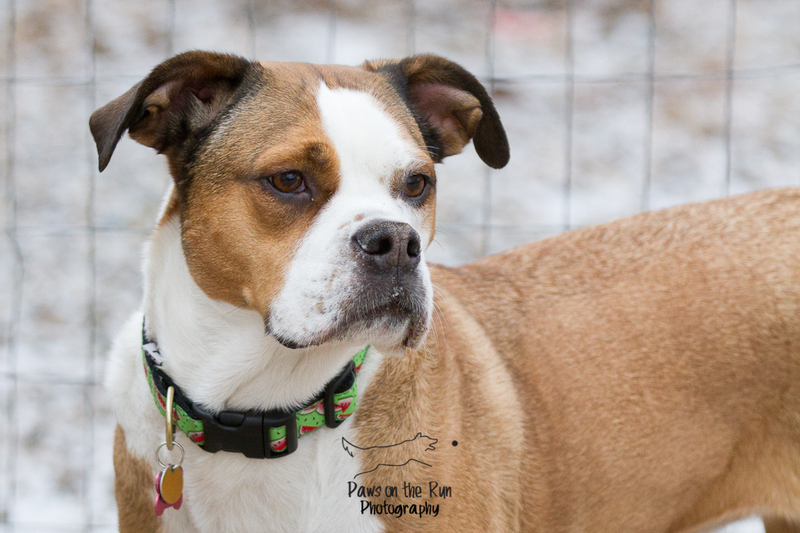 We’ve had Kayda for a few weeks now, but didn’t want to blog more information until we knew more about her. 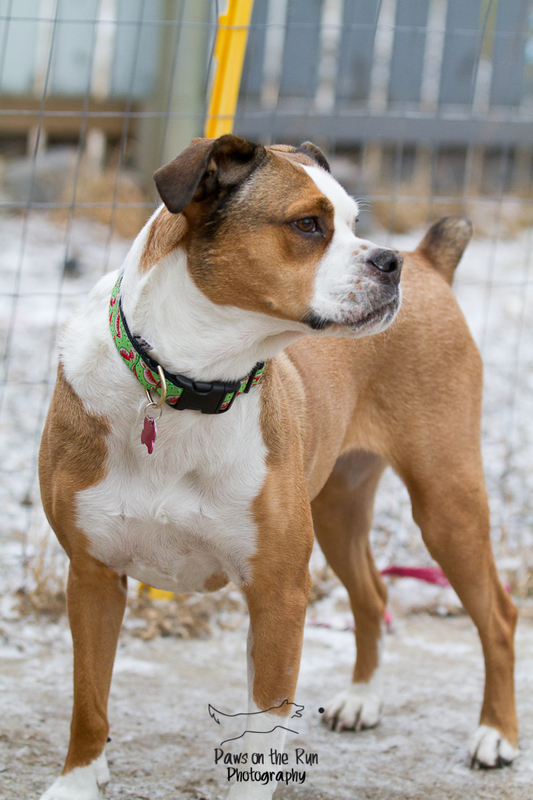 Kayda is is a 5 year old Boxer/Bulldog Cross that was surrendered by her owners to the Calgary Shelter, who in turn, contacted us as she wasn’t doing very well in a kennel situation. 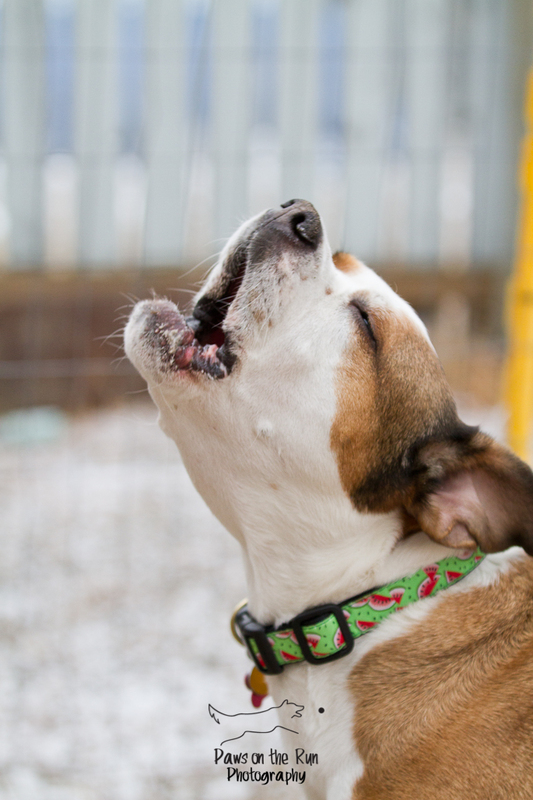 Unfortunately for Kayda, her owners left her with some painful and expensive medical problems. 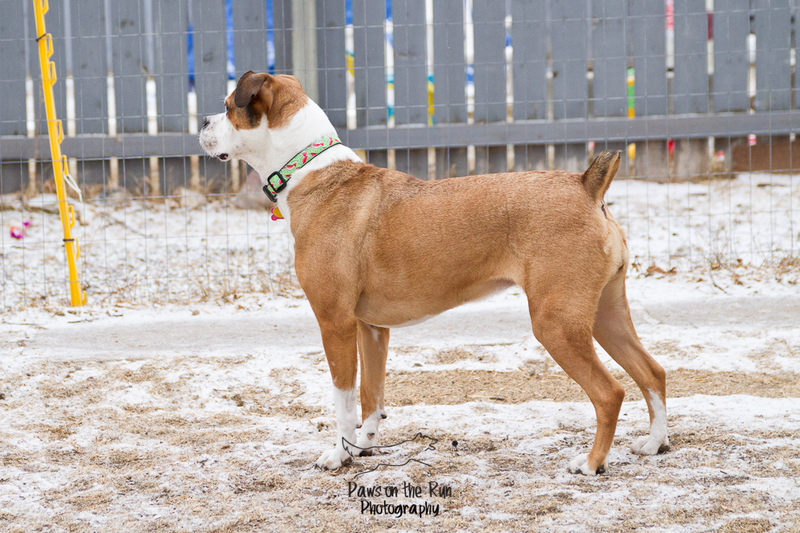 We’ve discovered that Kayda not only has a torn cruciate, but she also has hip dysplasia. We have Kayda scheduled for knee surgery to repair her torn cruciate and luckily the hip displasia which can be treated without surgery. Exercise, supplements, and keeping her a good weight will help to keep her healthy and pain free for a long time. Neither of these problems have dampened her spirits and aside from a bit of a limp, you would have no idea that she is masking a lot of pain. She is great off leash and listens really well. She is not quite ready for adoption yet, as we want to make sure she is fully healed after her surgery before sending her to a new home (this may be about 6-8 weeks) but we are taking applications. She’d love to hear from you! I should mention that Kayda surgery is an expensive one (around $3,000). But she’s worth it AND we can afford it, but it is going to leave a giant hole in our bank account. 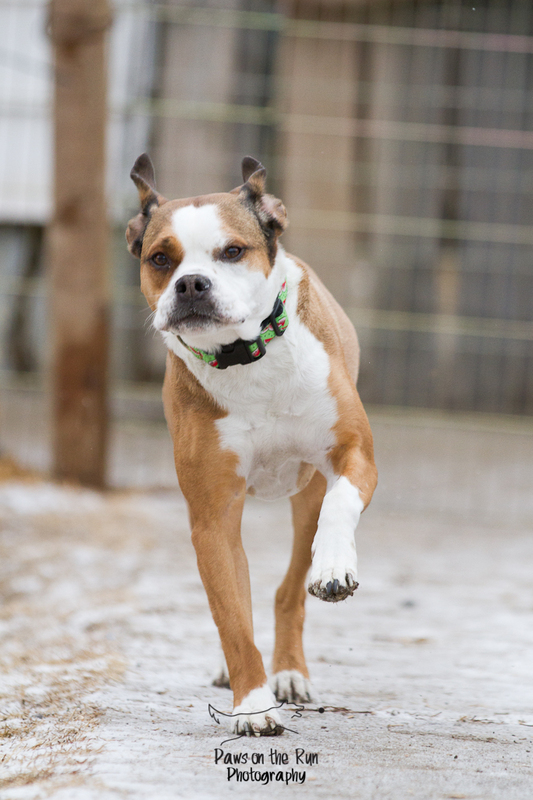 If you have ever considered donating to the Windy City Canine Rescue, now would be a great time. We are able to do this surgery thanks to some incredible and generous individuals that donated over the Christmas season. We’ve been holding on to that money for an emergency just like this and we have our fingers crossed that another emergency won’t be heading our way soon or we may have some difficult decisions to make. If you’d like to donate, you can donate through PayPal from our website or you can mail a cheque to us at the following address: Windy City Canine Rescue, PO Box 341, Coalhurst, AB T0L 0V0. She is absolutly adorable. What a wonderful companion she will be. Who is the lucky person to get her?